Whilst difficult to establish this is one chance, like any other, to show off a touch of your personality without saying a word. Whilst finding a signature scent can be a little daunting, and often a little boring when you've tried one after the other, the end result is beyond rewarding. Instead of choosing one why not choose a selection? Here are the five scents I currently live by, one for each occasion of course. This is my feel good fragrance and ultimately it smells divine. Made up of Italian plum, Bulgarian Rose and Liquid Amber this sweet scent speaks sophistication and femininity. This is one fragrance I consider an off duty favourite. 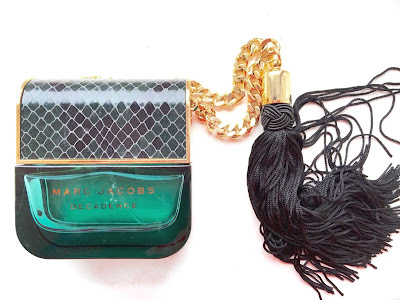 Of course leave it to Marc Jacobs to create the most divine packaging making it the perfect home decor piece. My Burberry is a fragrance iconic of this darling fashion house. Whilst of course this is one universal scent there is something special that finds itself tailoring to your personality. As I spend the majority of my time working this is one fragrance I enjoying spraying every morning. With notes of sweet pea, geranium leaf, quince and freesia paired with base of patchouli, damask and rose, this scent is sensual and strong in presence. 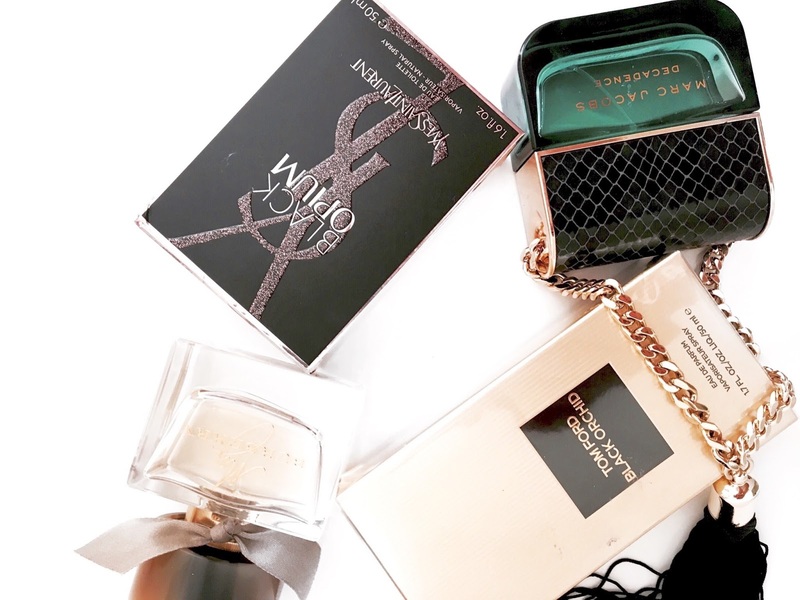 My signature scents include a mixture of luxury purchases and beauty treats. Whilst many, particularly Tom Ford, find themselves at the higher end of the market their investment is worthwhile. 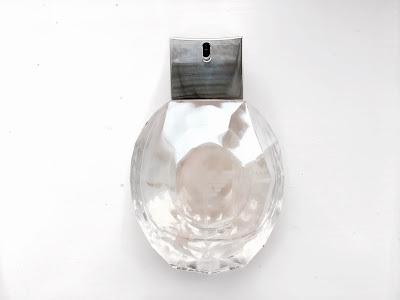 When purchasing luxury fragrance I find scents are stronger and require less use. 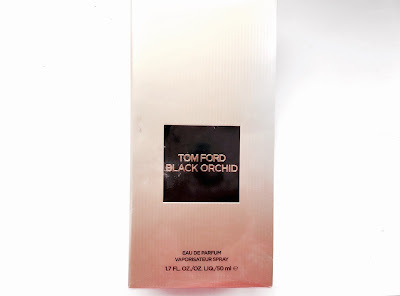 Black Orchid is just one of those investment purchases. This has the potential to be my all time favourite scent and upon smelling it for the first time I immediately fell in love. This is not a scent that you will ever forget. Combining black orchid with patchouli, vanilla and sandal wood (as just a few key ingredients) this scent is perfect for date night. It's overpowering, mysterious and provokes curiosity. Okay so this is where things get a little bit sassier. 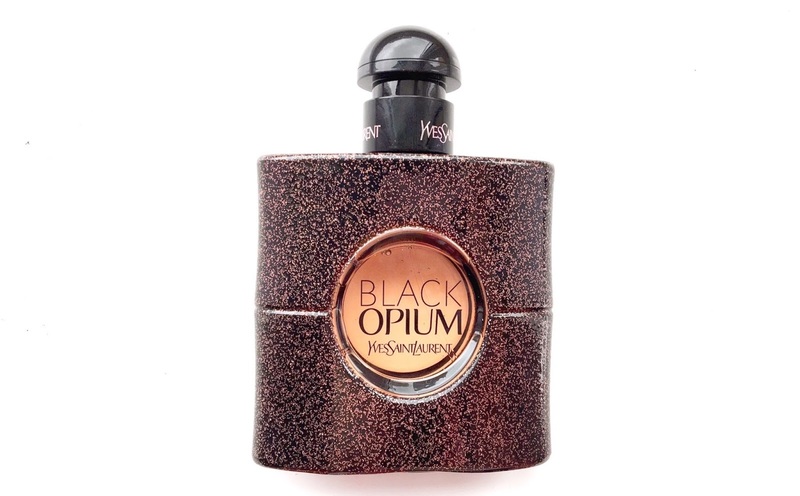 Black Opium is my go to scent when its time to party. Its fun, flirtatious and feisty. Its sweet scent is delicious and welcomed. With Black coffee, white florals and vanilla this is one scent that will make not only compliment your show stopping ensemble but make you feel oh so glamourous. Now some may find this a little crazy however I can never not wear fragrance. Diamonds is my go to scent on those chill days, whether thats working from home or simply relaxing. 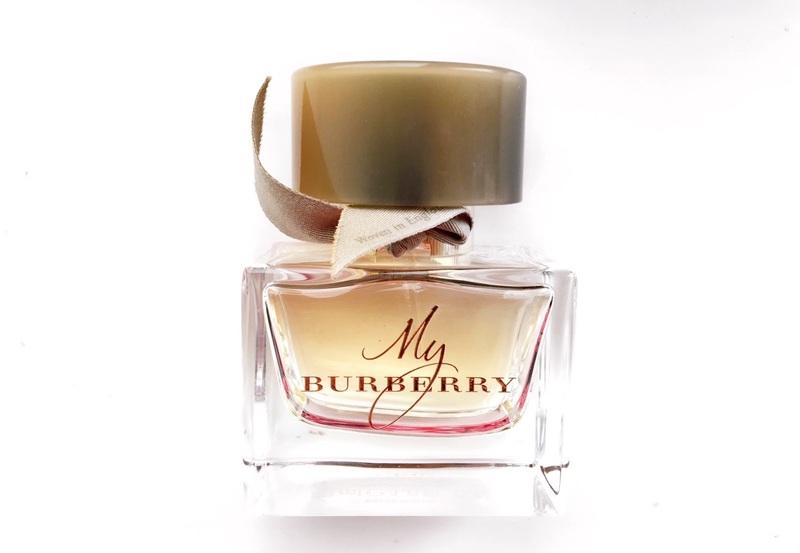 With litchi, raspberry and amber this fragrance is bold and brilliant yet understated. It makes even those dreary dull days that little bit more exciting. Can you name your signature scents darlings? Once you have chosen these they will stay with you for life. Your scent speaks a thousand words so its time to perfect it to YOUR personality.